For the last few years I’ve always dabbled in finding ways to make money online and with moderate success. From getting involved in affiliate marketing back in the days of those free iPod websites, I’ve been getting stuff from the internet since around 2007. Fast forward to today and I’ve started a new side project to try and make a little bit of extra income, because lets face it, extra money is never a bad thing. Having kicked off this side project in November, I managed to make just over $120 in income through the month of December. It’s slowed down a bit now, but that’s probably because I haven’t been putting in as much effort as I was and the time of year. The proof that it is possible however is there and this year I want to challenge myself to try and get that number up to at least a consistent level with the ideal goal of getting around $500 a month consistently. So I’m going to start sharing progress reports and earnings reports on this blog to track my progress towards that goal and effectively show you that it is possible to make money online with not too much effort. Content creation that helps your audience. Not on this blog though. I have a separate website that I use to make money. I won’t be revealing anything about the other website for the time being as affiliate sites can be a pretty competitive market and I don’t want to shoot myself in the foot whilst I’m just trying to get it up and running. 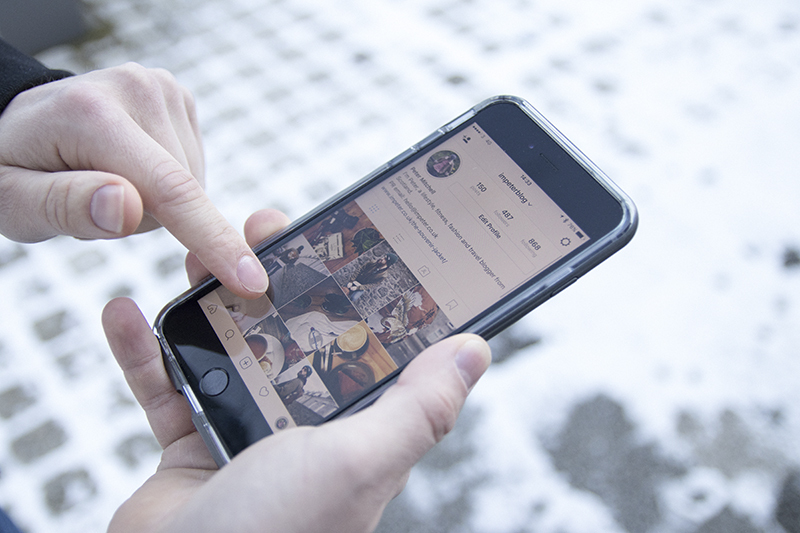 The type of content I create is based around user intent and giving them specific information around products that they would be looking to buy. By providing visitors with this information at the later stage of their buyer journey I’m almost acting as the last touch point before they buy and by giving them information and including affiliate links to purchase the products, the chances that I’ll be credited with a sale are a lot more likely than if I was targeting them with content that they weren’t looking for. I also write my content with buyer intent in mind when it comes to optimising them to appear in search results. This ensures that I rank for the hottest prospective customers giving me more chance of them converting. Terms like “review”, “top 5”, etc are usually things that people would look for if they had some intention of purchasing something. Think about the last time you bought something online or even in store, I bet that you looked online for reviews before you bought it. Unless you’re a major impulse buyer like I am. All I do is provide people who find my website with information around a product and give them links to Amazon to buy them should they be ready to take the leap. I use amazon because it’s the most universal place for people to buy things globally. It’s available in so many different countries around the world and it’s a place that people trust. If I were linking to places that people had never heard of to buy the product then my conversions would be much lower. Trust is a major factor in this. Absolutely anyone has the ability to make money online in this way, all they need is a website and some knowledge around a subject they are passionate about. A simple wordpress blog can be set up in minutes using a company like Bluehost and you can start writing about any subject you want, including affiliate links in your content to encourage users to purchase the items that you are writing about. Affiliate Window – Most of the brands that you find on the high street are available on here, you just have to apply to join their programs once accepted. Amazon Affiliates – Amazon require you to sign up for each country that you intent on giving visitors the opportunity to buy from. If you’re from the UK and most of your readers are UK based then you should be fine with just signing up to the UK platform. shareasale.com – This is a platform that I have recently joined and they allow you to sign up for multiple different retailers affiliate programs. 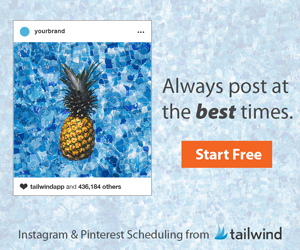 Most notably is the Tailwind affiliate program which is what I’m actively promoting as it has completely changed my Pinterest use and impact. You can then create links to products you are writing about allowing people to buy them and you to get a percentage of the sale. I personally haven’t seen much success from this in a lifestyle blogger capacity, but that’s not the reason that I have this blog. I do this one because it’s something I genuinely enjoy spending time on and it’s just documenting my life and if I do make some money off it then great, but I can’t see this site becoming a full time income maker. My other website however is more of a resource hub for people looking for a certain type of product that fits their needs and it’s where I’m trying to make most of my money. If it turned into something that could sustain me so that I could do this full time just for the fun of it then that would be my ideal goal. Keeping them separate allows me to have one for work and one for fun, although if you can combine the two then go for it. It’s all about doing what works for you. It’s something that I’ve considered doing on here just to track my progress and let others see how I’m getting on but I didn’t want it to come across like I was bragging. Having put out a tweet asking if it’s something people would be interested in, the feedback seemed positive, so I’ll probably start doing them on a monthly basis. To give you a little update, here’s what I’ve made since the beginning of 2018. Not the most impressive by any means, but it’s money that I wouldn’t have had otherwise and I’m quite happy to have trickling in. I wanted this post to show others that it really is possible to make money online and that anyone can do it. I’m happy to answer questions in the comments or over on social media if you have any. I’ll do my best to help others start making some extra cash online whether you’ve got a blog or have never set one up before. You can find my profiles in the top bar but I’m probably most accessible over on twitter. Fancy starting your own money making blog? If you’re ready to set up your own money making blog then head on over to Bluehost where they’ll let you kick start your site and throw in a free domain name too! Once you’ve got your site up and running, drop me an email to let me see how you’re getting on. I’m always open to helping others.